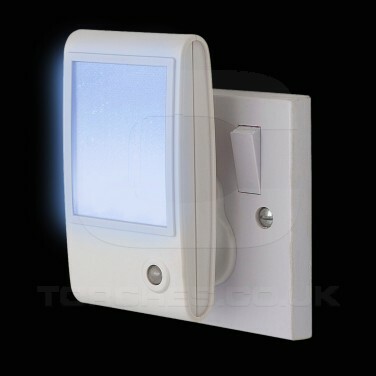 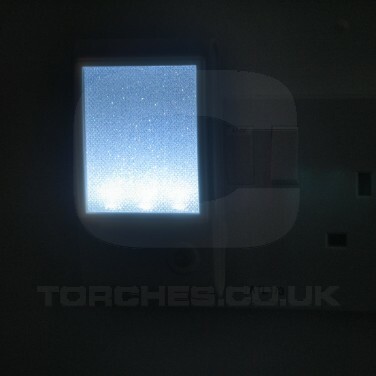 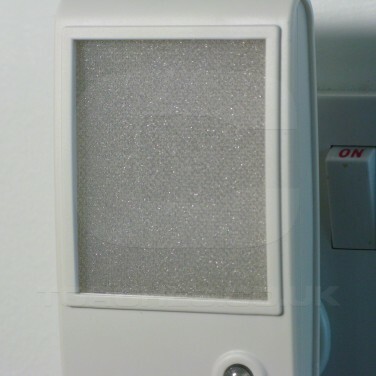 A plug in night light with a touch of sparkle, this LED light has a light sensor that senses darkness and so automatically switches on at night. 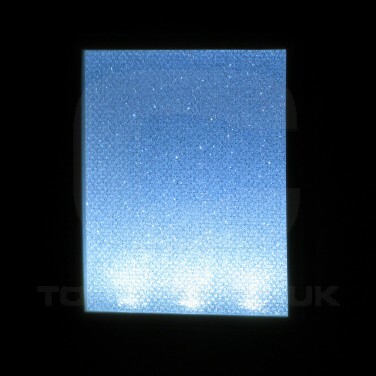 Ideal for plugging into kids rooms, for hallways, landings and more, the white LED shines through the sparkle panel to give a just the right amount of light for reassurance and guidance at night a pretty sparkling effect. 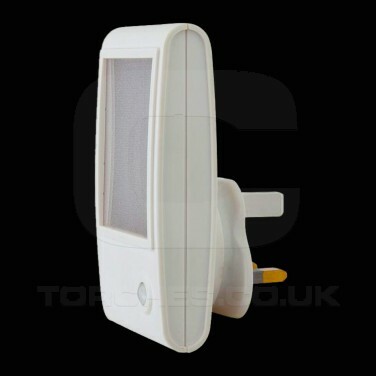 Highly energy efficient, the LED in this light uses just 0.4W and costs just 50p to run over an annual period on constant use, or just 25p a year when used on light sensor mode!